The US-led petrodollar era is being surpassed by a multipolar oil age in the Middle East. The transition is permeated by fundamental change and financial speculation that is penalizing the roles of the US and China in the region. As producers have scrambled to gain market share from competitors, prices remain more than 70% down from summer 2014. Recently, oil ministers from Saudi Arabia, Russia, Venezuela and Qatar announced an agreement to freeze their oil output levels if other major producers will follow suit. In the near-term, that is not likely. The current status quo heralds more economic, market and military volatility in the world’s most explosive region. After the 1945 Yalta Conference, which effectively divided Europe, the ailing President Franklin D. Roosevelt rushed to USS Quincy where he met Saudi Arabia’s King Ibn Saud. Bypassing the Brits who had been courting the Saudis for oil, FDR and Saud agreed to a secret deal, which required Washington to provide Saudi Arabia military security in exchange for secure access to supplies of oil. Despite periodic pressures, the deal survived for quarter of a century, even the 1971 “Nixon Shock,” including the unilateral cancellation of the US dollar convertibility to gold. To deter the marginalization of US dollar in the oil trade, Nixon negotiated another deal, which ensured that Saudi Arabia would denominate all future oil sales in dollars, in exchange for US arms and protection. As other OPEC countries agreed to similar deals, global demand for US dollars – the so-called “petrodollars” – soared, even though the relative share of the US in the world economy continued to decline. The shrewd move relied on Gulf economies’ leverage to sustain an economically vulnerable American empire. The US-Saudi strategic partnership has weathered seven decades of multiple regional wars. Today, Saudi Arabia’s military expenditures account for more than 10% of its GDP, which makes it the world’s fourth largest military spender. In relative terms, that’s three times as much as the US and five times as much as China; the world’s two largest military powers. Along with Washington, the Saudi rearmament has greatly benefited Pentagon’s defense contractors, while boosting the country’s confidence to stand on its own. Indeed, Saudi Arabia’s old days of conservative caution may be history. Amid a contested succession, Riyadh is taking debt to sustain its generous welfare policies and playing an increasingly assertive role in the region, directly in the Yemen war and indirectly in Syria. The Washington-Riyadh partnership was first shaken in October 1973 following the Yom Kippur War and the ensuing oil embargo by the Organization of the Petroleum Exporting Countries (OPEC). After two oil crises and a global economic recession, three decades of rapid postwar growth in the West ended with a crash. By the mid-80s, oil prices declined by more than a half, but mainly after the development of major non-OPEC oil fields in Siberia, Alaska, North Sea and the Gulf of Mexico. Even Saddam Hussein’s invasion of Kuwait, September 11, 2001, and US invasion of Iraq in 2003 had fairly short-term impacts on oil prices, as long as Saudi Arabia and the rest of OPEC ensured adequate oil supplies in the world markets. When prices began to soar once again, they were fueled by China and large emerging economies. Additional fluctuations were attributed to post-Iraq War instability, insurgencies, US occupation of Iraq, and financial bubbles in the West. After the global crisis, crude Brent prices did return to almost $130 by early 2011, thanks to stimulus packages, recovery policies and non-traditional monetary policies in the ailing West. Meanwhile, China overtook the US as the world’s biggest oil importer. That period came to an end in 2014, with lingering recovery in the US, secular stagnation in Europe and Japan, and China’s growth deceleration. As the Fed began to pave way for rate hikes, the value of the dollar started to climb. Since oil markets remain dollar-denominated, oil prices began to decline accordingly. That divided the OPEC. For more than a year, major oil exporters have debated production cuts, which have been resisted by Saudi Arabia – even though more cheap oil could cause OPEC’s revenue to halve to $550 billion. Why protracted ultra-low oil prices? In the advanced West, the primary reason for the low prices is often attributed to China’s deceleration. And yet, while China’s growth has slowed, its per capita incomes are increasing, which is reflected by the growth of oil imports. Another scapegoat has been Iran and its re-entry into the oil market. Yet, it’s nuclear sanctions were lifted months after the oil prices had plunged and stabilized at below $30. Indeed, if the oil price collapse is attributed to excessive production, the spotlight should be on the largest producers, the US (13.7 millions of barrels per day) and Saudi Arabia (11.9m), not China (4.6m) or Iran (3.4m). In the final analysis, Saudi Arabia does not want to give market share to US shale producers, while low prices are harming even more Iran (which Riyadh sees as its regional rival) and Russia (which is fighting the Syrian opposition and jihadists, which Riyadh supports). Indeed, both Riyadh and Washington have geopolitical incentives to use low prices against Russia and Iran. What complicates the projection of oil prices is that they are constrained by financial intermediaries. 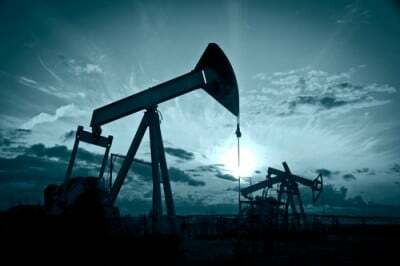 The oil market is subject to speculation and abrupt price movements that are reminiscent of those in summer 2008, when Goldman Sachs predicted that prices would exceed $200 by the year-end, even though they collapsed to $32 in December. Yet, the projection paid off handsomely to those financial intermediaries that shorted the market with leveraged derivatives in oil futures. So what’s the parallel today? Two years ago, major oil producers (e.g., ExxonMobil, Chevron and Shell) began to let go of their shale leases. Unlike big oil, shale is still dominated by aggressive but mid-size companies. As banks have predicted ultra-low prices at the $20 range, they have reportedly lent billions of dollars to shale players. Now, the more the prices decline, the more shale players will suffer defaults, which allow big banks to gain greater share of their ownership. Recently, the Middle East has witnessed several disruptive scenarios, including the Saudi Defense Minister’s decision to execute Shi’ite religious leader Sheikh Nimr al-Nirm; the escalation of the proxy war in Syria; the fallout between Russia and Turkey, a NATO member; to mention a few. These disruptive moments do not just create and destroy economic fortunes. They herald shifts in the region’s geopolitics. They also allow financial players to make bets in shadows, behind market noise. The stakes are huge. The transfer of oil wealth is moving an estimated $3 trillion a year from oil producers (in emerging economies) to oil-importing nations (in advanced economies). In brief, disruptive price plunges have harmed industry giants, while serving certain geopolitical interests. Meanwhile, financial intermediaries stand to benefit ever more, at the expense of consumer welfare. That does not bode well to either the US or China. Financial intermediaries are a different story.